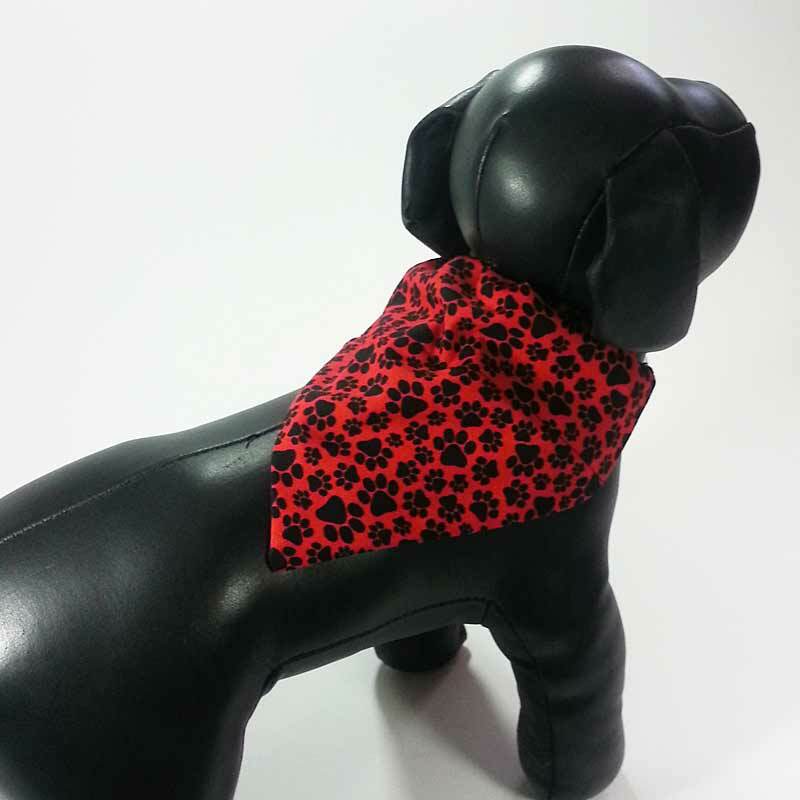 Bandanas are the classic "dress up" item and can be worn by all dogs, male or female, large or small. The "Arf Scarf" Bandana, like all of our products, is handmade in the USA using first quality cotton fabric. As with all of our products, the bandana is super easy to use. Simply slip the "Arf Scarf" onto your dog's collar ... that's it! Your dog will be styling a new fashion look without any risk of losing the bandana. Each "Arf Scarf" is made using a stylish high fashion cotton fabric on the face side with a color coordinating material on the back. With finished seams and a final top-stitched edge, this is a high quality bandana that is made to last. The "Arf Scarf" can be machine washed and dried. You will be able to select the proper size after you choose one of our Bandana designs. NOTE: Arf Scarf does not include collar with buckle. Please purchase Collar separately. "Hi! We purchased several bandanas from you at the ocean city show this year and last year. ... Of all the bandanas I've ever ordered I love your cut the best. Alot of the other ones I've ordered bunch up on the collars." - A. "I got it!! Thank you for the bandanas... Love them!! And Lillie looks so cute!" - M.
"I have two of your harnesses and leads that I purchased at a shop in St Augustine FL, and this will be my dog's first ruffle harness. These harnesses fit her so well - she cannot wear a collar due to choking, so I'm very happy to see different fabrics!" - M.
Maximum Collar width for the Small Bandana is 3/4", for the Medium 1 1/4", and for the Large 1 1/2". Love our bandanas? We offer a variety of leashes, hats, and accessories in all of our High-Fashion Fabrics.